Many of our neighbors are deeply entrenched in poverty, and over 60,000 of them are unsure of where or when they will get their next meal. 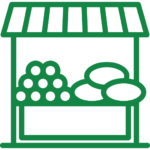 The Montgomery County Food Security Plan is the blueprint for how every local business, nonprofit, government agency and resident can contribute to ensuring all County residents have access to sufficient, nutritious food. The Food Security Plan, released in January 2017 outlines extensive strategies for reducing the number of food insecure individuals in the County by 22% by the year 2020. 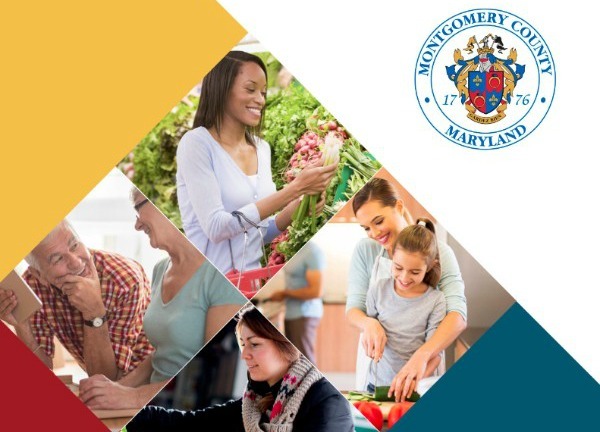 The Montgomery County Food Council, the Department of Health and Human Services, and many community nonprofit, business, and agency partners, have been working diligently to implement the Food Security Plan’s recommendations. On March 12, 2018, the Food Council, together with representatives from the Montgomery County Department of Health and Human Services and CountyStat, the County Statistician’s Office, presented a Year One Update on the Food Security Plan to members of the Health and Human Services Committee of the County Council. Please click here to view a recording of this County Council session, and click here for a summary of the Year One Update. 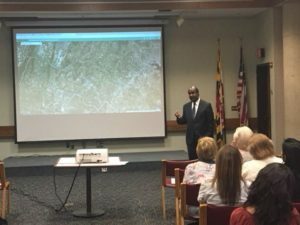 On May 1, 2018, the Food Council and CountyStat presented the Year One Update to the public and also launched FoodStat, a publicly available, interactive food security data tool that will, for the first time, synthesize all relevant data available in order to identify food access barriers and resources in our communities, determine priority zones of highest unmet need and potential service delivery gaps, and facilitate collaboration, program efficiencies and capacity building. Click here to access a FoodStat tutorial. The next update will be shared in Winter 2019. 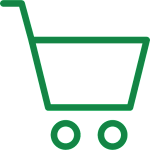 Supporting provider to provider training and capacity building to the County’s smaller food assistance providers by creating best practices resources and providing mentoring support on staffing strategies, recruiting/managing volunteers, advocacy, and fundraising. 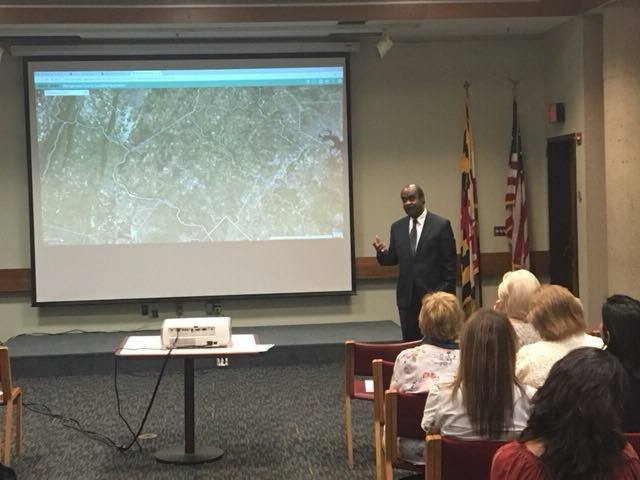 Left: County Executive Leggett encourages attendees of the FoodStat Launch to continue working to reduce food insecurity in Montgomery County. 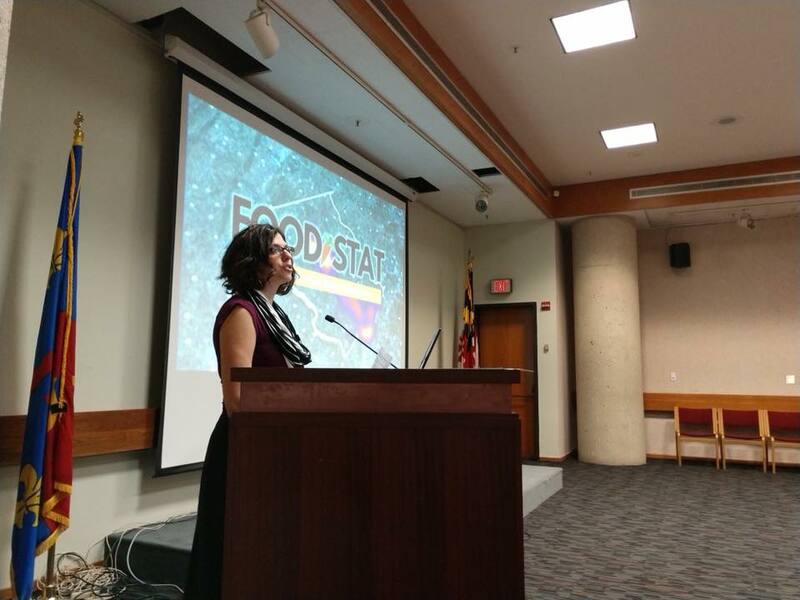 Right: Food Council Steering Committee Chair Sharon Feuer Gruber welcomes community members to the FoodStat Launch. Click here for a detailed review of the implementation strategies and activities that have been accomplished to date. Click here to view the presentation slides from the Year One Update and FoodStat Launch on May 1, 2018. In Year 2, the Food Council, with the help of its Working Groups and partner organizations, plans to build upon the activities undertaken in Year 1 of the Food Security Plan. Among other initiatives, we will focus on strategies to increase benefits application assistance outreach and case management, and work with healthcare providers to help facilitate “screen and intervene” programs, along with appropriate sustainable referral and long-term case management mechanisms. 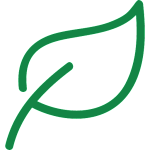 The Food Security Plan resulted from the passage of Bill 19-16, The Strategic Plan to Achieve Food Security, which was introduced in the Montgomery County Council by Councilmember Roger Berliner in the Spring of 2016. Sixteen hunger relief and food system organizations testified in support of this legislation at a public hearing on June 14th, 2016. The bill was passed unanimously by the County Council and the Innovation Program of Montgomery County was tasked with creating a Food Security Plan. 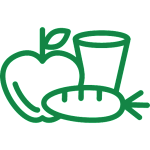 The Food Council, as the nexus of food system work in the County, was designated as the lead nonprofit to collaborate with the Innovation Program on the researching and writing of the Plan.